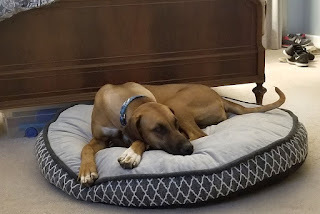 Being a previous "outdoor" dog, Amber has never had a dog bed. We had to fix that situation. Once we got her housetraining under control and could trust her to stay in bed at night, we got Amber her very first bed. She loves it! 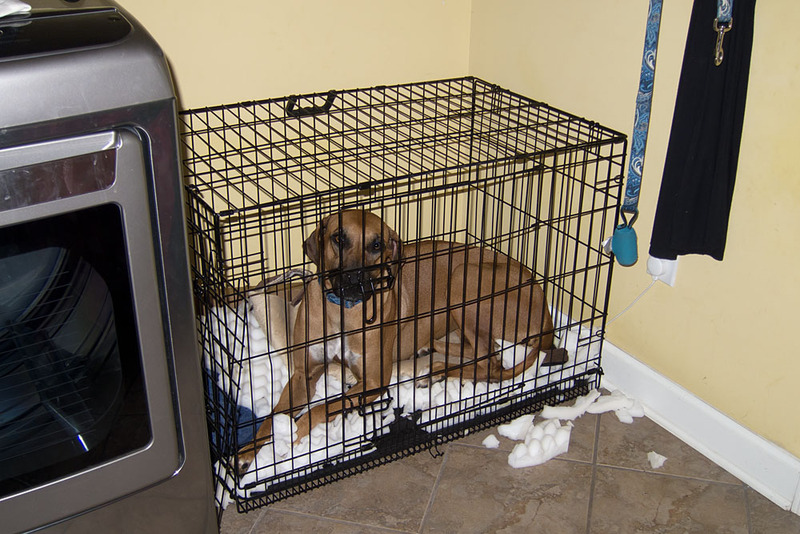 We also wanted to get her a nice soft crate pad. 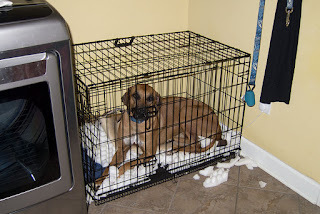 We'd kept old towels in her crate in case she had an accident, but she's kept them clean and dry. 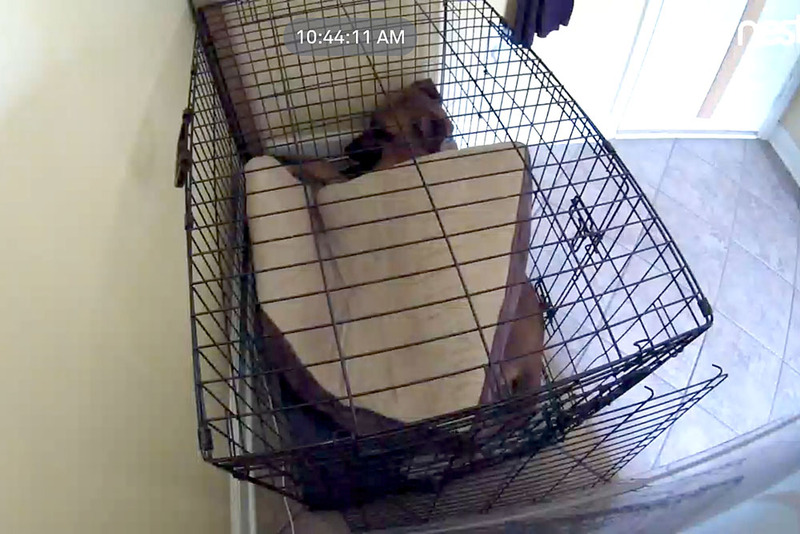 So we got her a nice thick memory foam pad to lay on in her crate when we aren't home. The kids thought it was hilarious that she somehow managed to get underneath it and use it as a blanket. Looks like we'll stick with towels from now on!